Vibrant and Viable Places (VVP) is the Welsh Government's regeneration framework, which was launched in March 2013. The fund focuses on regeneration activity in town centres, with an emphasis on improvement to the housing supply. The objective is to create more versatile and diversified town centres, that are not solely focused on retail provision, but encourage people living in the town centre to enhance and extend the vitality of the town. There is also an emphasis on programmes to provide additional training and employment opportunities in deprived areas. Neath Port Talbot Council has received over £12.5m from the Welsh Government’s Vibrant and Viable Places Programme to target regeneration projects in Port Talbot. The funding is part of a £35m housing led regeneration programme. This will be delivered in the town centre throughout the duration of the Welsh Government scheme. It seeks to transform the living and working environment of the town, bringing new development and employment opportunities. This will create a more inclusive, prosperous, healthy and sustainable place to live and work. The programme will bring about a genuine transformation of the town, and will support the strategic priorities of the Swansea Bay City Region. The VVP programme will link with the development at Port Talbot Harbourside, which has the potential for the creation of 2,000 jobs. It also links with the regeneration activities underway in the adjacent Sandfields and Aberavon Communities First areas and with the new developments on Aberafan Seafront. The Council will be working closely with the delivery partners over the three year programme to maximise local employment benefits. 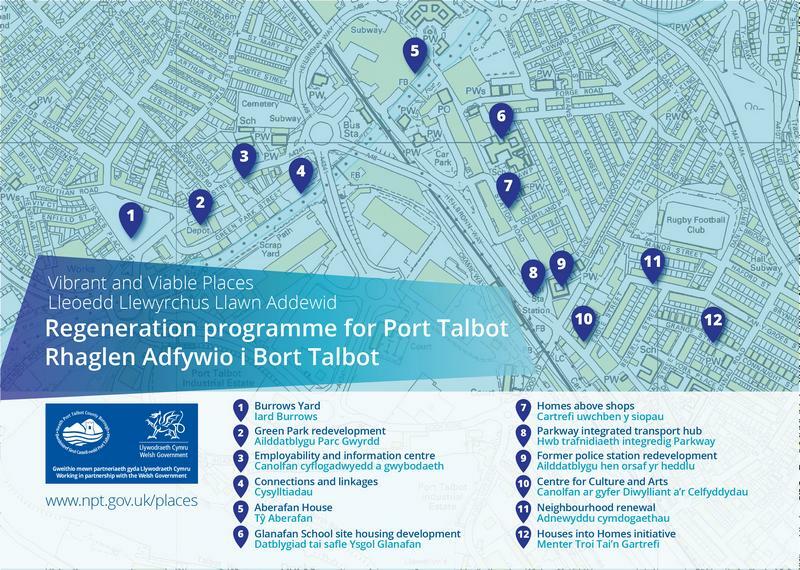 What projects will happen in Port Talbot? The £4.5m Green Park housing development delivered by Neath Port Talbot County Borough Council and Coastal Housing is the first housing scheme to benefit from funding from the Welsh Government through its VVP programme. The development is transforming a former brownfield site into a housing estate of 34 affordable homes including houses, bungalows and flats. The estate sits in close proximity to the town centre and adjacent to the River Afan. 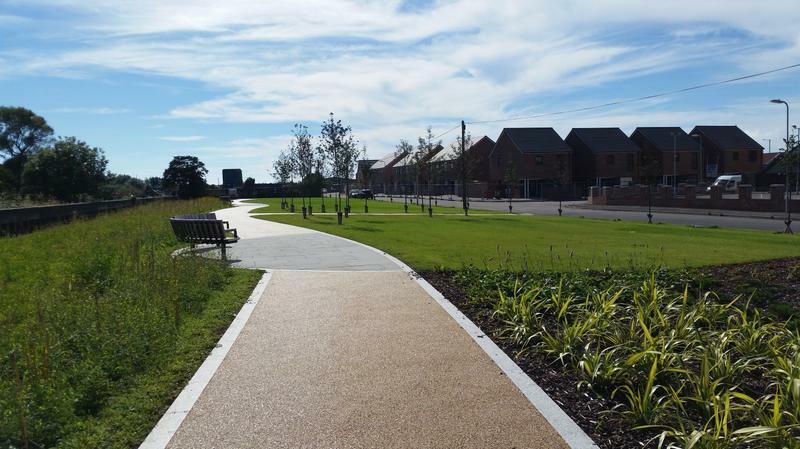 It creates a new community open space and benefits from improved links between the town centre and seafront. The restoration of the former fire station on Water Street in Port Talbot town centre is now complete. 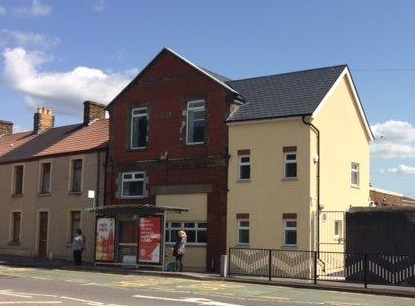 The formerly derelict building, owned by Neath Port Talbot County Borough Council, has been transformed into an Employability and Information Centre for the local community. The centre opened its doors to the public in June 2016. Managed by registered charity, NSA Afan, the centre delivers one-to-one training in employability skills. It also helps to support socially inactive or long-term unemployed local people to gain or enhance their existing skills with the goal of securing paid employment. Two Connections and Linkages schemes in and around the town centre will improve transport links and accessibility for pedestrians and cyclists. They will enhance access to employment, housing, retail and leisure areas including access to Aberavon Seafront and the Afan Valley. The Harbour Walk project, part funded with European and VVP funds, is now completed and has been designed to connect Port Talbot’s Harbourside area, the town centre, the newly renovated £11m Port Talbot Parkway Rail Station and the new integrated transport hub which is currently under construction. The second scheme, Green Park Riverside Walk, is currently underway. It has been designed to connect Aberavon Seafront and the town centre. The former Glanafan School is a key town centre site where £5.7m investment will see the development of a mixture of homes and commercial units. The site will be redeveloped by Coastal Housing Group and will provide 43 residential units and five commercial units. The site is in a prominent location in the main shopping area of the town and the creation of new accommodation and commercial space will reinvigorate this part of Port Talbot. The Homes above Shops project will help to rejuvenate and repair existing buildings which are part of the history and heritage of Port Talbot. It will also help to meet local housing demand in a prominent area of the town centre. Construction is underway on Port Talbot’s new integrated transport hub at the lower end of Station Road, next to Port Talbot Parkway Railway Station. The hub will provide easier access to employment and residential areas in and around the town. It will also help communities in the nearby valleys areas access employment, learning and other opportunities. The works form part of the Council’s wider regeneration plans for Port Talbot town centre and Harbourside. The £5.6m project, being constructed by Port Talbot based Andrew Scott Ltd, will complement the £11.3m redevelopment of Port Talbot Parkway Railway Station by Network Rail. The scheme is funded by the Welsh Government’s Vibrant & Viable Places Programme, Local Transport Fund, and by European Structural Funds. You can view the design plans here. The main plan of the proposed integrated transport hub can be viewed here. Apartments and commercial units will be developed on the site of the old police station in Port Talbot town centre. The site occupies a major gateway location to the town centre, in close proximity to the newly developed Port Talbot Parkway Rail Station and the new integrated transport hub which is currently under development. Pobl Group will deliver a £4m investment which will result in 30 new residential units on the two upper floors and commercial floor space on the ground floor. The iconic former Plaza cinema in the town centre will be transformed into a centre for culture and arts. The Grade II listed building is at the lower end of Station Road, close to the train station and other Vibrant and Viable Places projects. The building is owned by Neath Port Talbot County Borough Council which is working closely with local groups and organisations on the development. The Business Plan has been completed and the group are looking at match funding opportunities to redevelop the Plaza into a sustainable, multi-purpose cultural venue for creativity and enterprise. 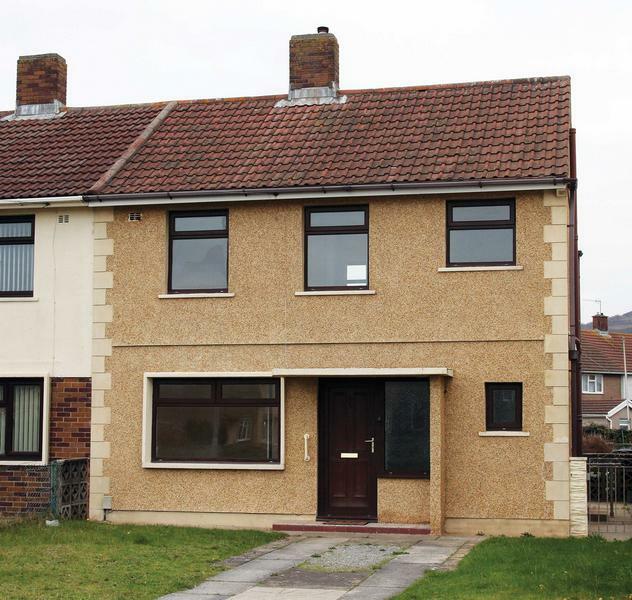 This project is focused on improving houses in the Port Talbot area that have a high level of fuel poverty and are in need of repair. £2.9m has been invested in the first two years of the scheme with the aim of providing renovation and upgrade works to approximately 300 properties over the three year period of the VVP programme. The programme will ensure the homes are secure, weather proof and more energy efficient, helping to bring properties out of fuel poverty. The project will be delivered by Neath Port Talbot County Borough Council using local building contractors. This project offers home owners and landlords within the VVP area the opportunity to apply for an interest free loan to carry out renovation works to their property. £600,000 has been made available with a loan value of between £1,000 and £25,000 which will be repayable over a period of up to five years for landlords and 10 years for owner occupiers. Works are aimed at making the property safe, warm and secure to improve the housing stock in this area. As loans are repaid, they can be used again allowing more people an opportunity to benefit. The scheme will be administered by Neath Port Talbot Council. 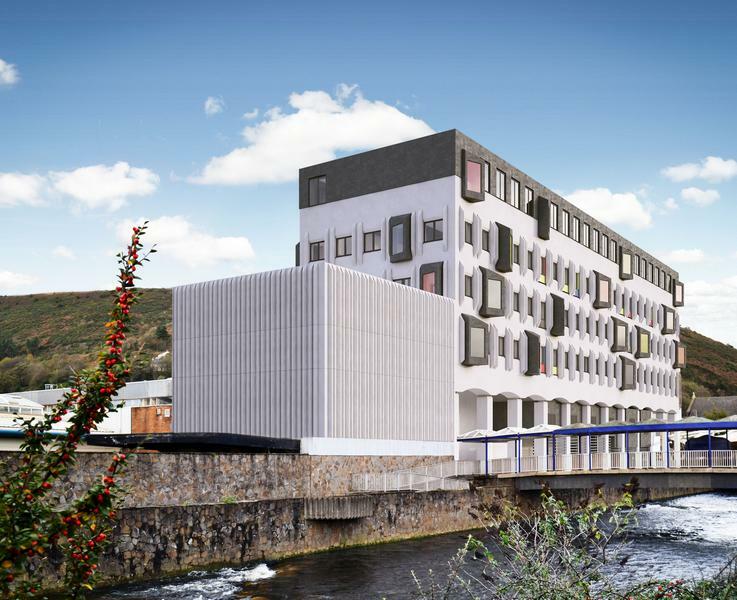 Neath Port Talbot Council has approved plans submitted by Swansea-based company, Hacer Developments, to redevelop Aberafan House into 41 new apartments. 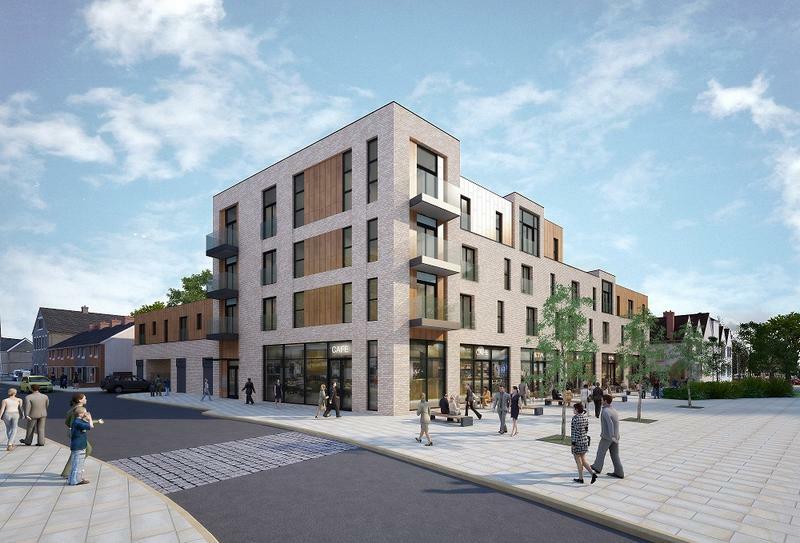 The £4.7m redevelopment scheme designed by Powell Dobson Architects in consultation with the Design Commission for Wales will be undertaken by Hacer Developments in partnership with Pobl Group (formerly Gwalia). 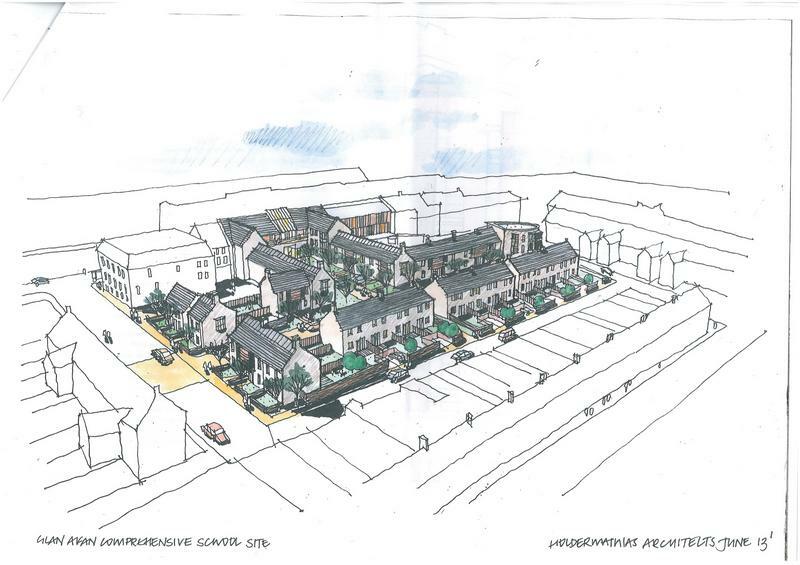 The investment will help to meet a shortage of housing in the community and enhance the vibrancy of Port Talbot by bringing additional footfall and introducing more residential dwellings into the town centre. The development will also see the improvement of the immediate surroundings, including improved lighting, cycle racks for residents, benches and street furniture along the riverside walk to create a safer and more welcoming space for both residents and the public.